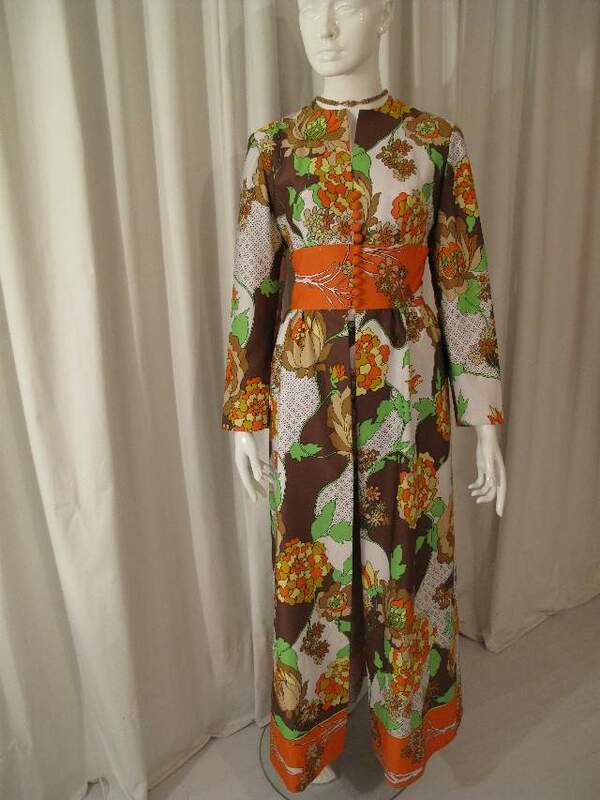 Late 1960's Full length vintage coat and flared pants suit. 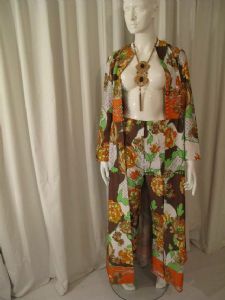 Polyester sateen two piece with allover psychadelic print. The print is on a white ground with colours of chocolate brown, taupe, beige, apple green, orange and lemon. 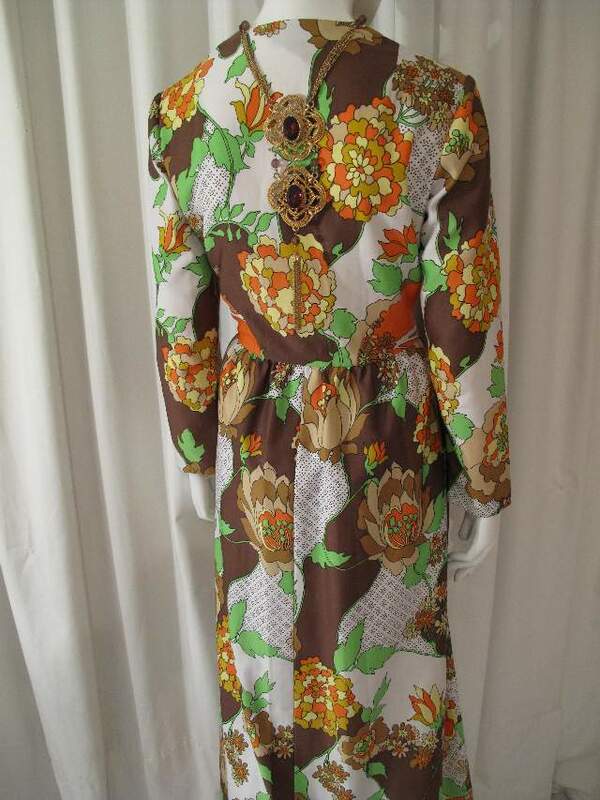 All the swirls, flowers and leaves are outlined with a black trace line and sections of speckled dots.The front of the coat fastens with eleven covered domed buttons sand self fabric rouleaux loops. 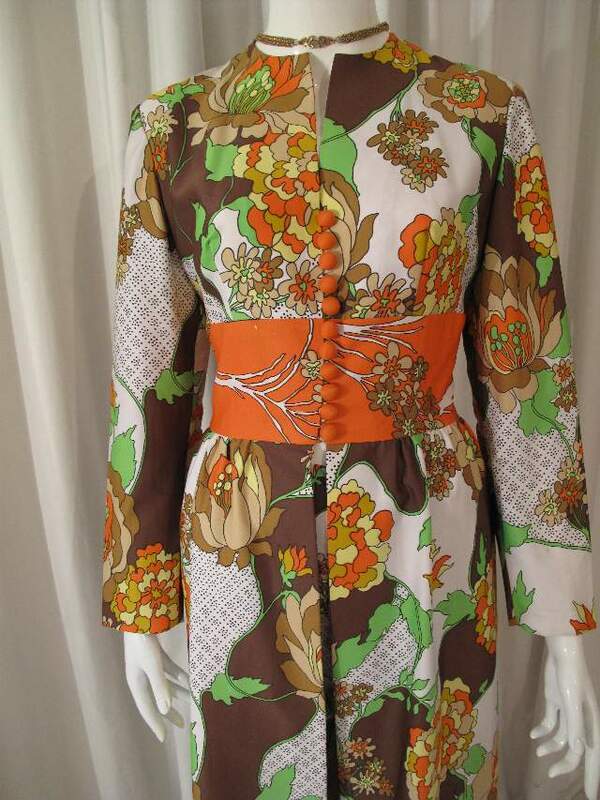 The coat has a banded waist panel and long sleeves, the pants are flared. 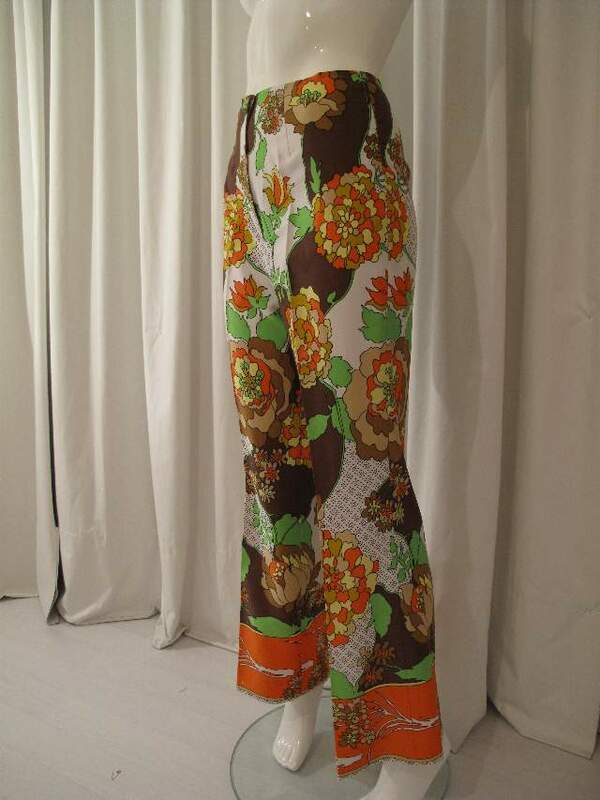 Both the coat and the pants have a deep orange printed panel at hem. The coat opens at the front to the waist so that the pants can be seen when worn. 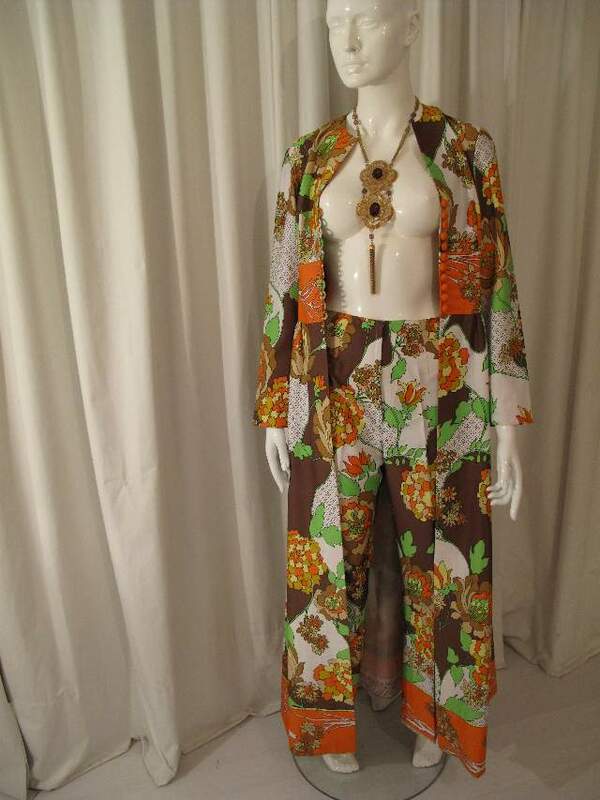 This is a fabulous, colourful suit that completely evokes the period.